Well, to make more out of this immensely addictive and entertaining game, tons of new mods have been created. These mods range from improvements in gameplay and quality to mods that let you blow things in the game world for no reason at all. If you are one of those players who have already ended the game and are in search of some best Skyrim mods, you can try anyone of the following. Let’s start with the list of top 30 best Skyrim mods. While roaming the Skyrim game world, you must have witnessed the light coming from some illogical sources. For instance, the Doors emitting light and at some points, light coming from non-realistic sources. The Relighting Mod helps you fix this problem by making Skyrim more graphically enriched. It reprograms the game and makes the lighting in the game much better. After applying the Relighting mod, you’ll see light coming from sources such as Fire, Stars, and other realistic sources. The 2K texture Mod for Skyrim is mainly suitable for the players who’ve PCs with bleeding Edge specs. As the Skyrim is a relatively old title, it lacks some fine textures and details. So if you are facing these problems on a powerful PC, you can try this mod. It offers textures at near 4K and 2160p resolutions. It also completely modifies the game’s visuals and makes the gameplay more appealing and realistic. The Apocalypse Spell Mod is one of the most rewarding ones in the line of best Skyrim mods. It adds up over 140 different Spells to the game. The spells range from calling the basic objects to thrashing enemies, summoning ferociously powerful tornadoes that literally destroy everything in the path. The Spells are well designed and that’s probably why they fit in well with the Story of Skyrim and its history as well. Apocalypse Spell is one of the best Skyrim mods. The Static Mesh Improvement Mod is an ultimate tool to remove all the niggles from the objects in the game world. It’s basically is a combination of various Workshop Files and adds up a lot of improvements to the game. With this particular Skyrim mod, you can finally now enjoy smooth corners and stones, and Bowls, etc. In addition, the SMIM further smoothes up the textures, and the extra Polygons improve the performance widely. It’s undoubtedly one of the best Skyrim mods. The Alternate Start Mod is dream come true for all those who’ve already completed the game and they want to enjoy it from a new beginning. This particular mod offers a number of different starting points and lets you play the game as different characters every time you start. The Alternate Start Mod isn’t only about the new start every time; it also offers a new story as well. 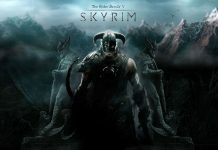 Do try it out, its one of the best Skyrim mods. Moonpath to Elsweyr takes you to a brand new landscape named as Elsweyr and lets you keep interested in the game for quite some time. The Elsweyr is a landscape that features beautiful lush green forests and wilderness. Hunting, stalk or prey on various species of animals and exploration are the most prominent features of this great Skyrim mod. In addition, it offers six new quests, new characters, and voice acting. It pairs with the 2K Texture Mod pretty well and offers an enhanced experience. Skyrim is no doubt a fantastically long game based on a vast world. There are tons of different creatures, characters, and landscapes in the game, but it eventually ends at some point. If you’ve already completed the game, this new mod might interest you. It offers a totally new perspective on the game and allows you to dwell deep into the Skyrim world. Explore new things, complete new quests, interact with NPCs and just enjoy. It’s one of the best Skyrim mods to try out. The ENB Presets Mod helps enhance the ENB shaders and presets that offer a chance to take it to next level of visual standards. No matter if you are a not good with the graphics, the ENB Mod lets you get rid of the Vanilla lighting. However, there are a lot of different ENB configurations based on different presets. Some of the best ENB Presets are True Vision ENB, Project ENB, and RealVision ENB. Try them out via experimenting and select the best one for you. The Immersive Armor and Immersive Weapons Mods are introduced in the game by Hothtrooper. These exciting mods are all about offering you a variety of new Immersive Armor and Immersive Weapons throughout the game. All the Armors and Weapons provided by this particular Mod are top quality and are very friendly to the lore. If you are all done with the default armors and weapons, you should definitely try this mode. It’s one of the best mods for Skyrim. The Realistic Needs and Disease Mod is one of the best Survival mods for Skyrim. With a beautiful play-style, it allows you to have a number of necessary things in the game such as eating, drinking, sleeping, etc. In addition, the Realistic Needs and Diseases mod help go through Frostfall (Frosfall makes traveling through the frigid extremes very challenging) easily. It also lets you skip the hectic routine of trekking through the densely snowy areas of the Skyrim world. The Interesting NPCs mod is probably one of the biggest and the best Skyrim mod. It has a huge file size, but it’s worth trying because it offers tons of fantastic stuff altogether. While in the Vanilla state, the game offers a low number of characters and certainly the NPCs, The Interesting NPCs mod adds in more NPCs and characters that you can interact with. More NPCs mean more quests and that literally makes the game more interesting to play. It’s no doubt, one of the classiest mods for Skyrim. If you are fed up of fighting all the same monsters again and again, Monster Mayhem is the best Skyrim Mod for you. Monster Mayhem offers a variety of both new and unknown creatures and monsters in the Skyrim World. With a whole bunch of new and different game levels, each packed with its own unique behemoth, it’ll definitely allow you to enjoy the game more. Jedi of Skyrim is a fun new mod, to be honest. It’s more like a Star Wars and Skyrim Cross-over and allows you to wield a Lightsaber just like a Jedi. In addition, it offers a variety of goodies that you’ll like the most. With a very “Old Republic” styled classes, Force abilities such as mind tricks and lightning. One downside to this particular mod is that it doesn’t add much to the gameplay, and it certainly doesn’t improve the visuals. But, it’s fun trying it out. Flaskaar is probably one of the most impressive and promising Skyrim Mod ever created. 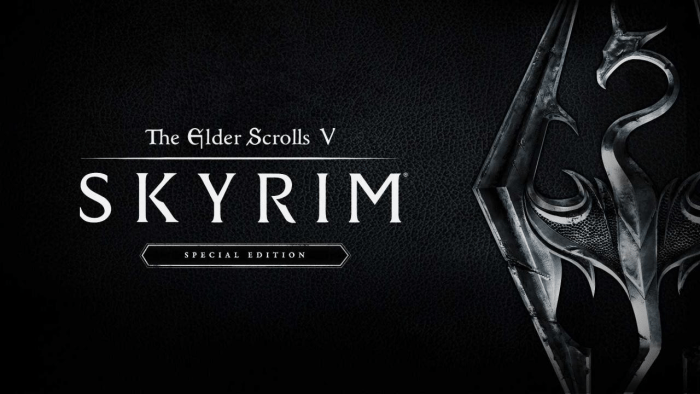 It offers a whole new continent and adds up to 25 hours of additional gameplay to Skyrim. If you are a true Skyrim moder, you should definitely try this one out and enjoy numerous new Quests, Landscapes, Wilderness, and characters. The level of details is well worth your time. It’s one of the best Skyrim mods. The Rabbit Hole Dungeon Mod takes you 50 levels deep into the Skyrim World and lets you explore a whole new dungeon. It’s packed with all kinds of challenging adventures, different enemies and 50 levels of pure awesomeness. The Dungeon keeps on changing over time and every time you start it out, you start from a new beginning. This implies to a brand new experience every time you play the game. The Thirteen Oranges Mod is one of the classiest and the best Skyrim mods that adds up a series of fantastic new quests in the game. You’ll find all the quests in The Thirteen Oranges Mod, very Lore-friendly and filled with all kinds of wonders. The lore-friendly nature of the quests fits in very well with the Skyrim World and thus it offers a great experience. The Enderal mod adds up almost 100 hours of fresh gameplay to Skyrim. If you’ve loved what the Flaskaar Mod has offered, you’ll definitely love it too. It literally changes the way you look at the game and that leads to a totally new experience and feel of the game. With an amazingly addictive quest line, perfect voice acting, beautiful landscapes, and exploration, it’s no doubt one of the best Skyrim mods you’ll ever try. The Way of the Monk seems a little bit Clickbait, but it is an impressively best Skyrim mod. This mod lets you fight off against your enemies without any armor, weapons, and forces. In a sense, it cool to fight enemies bare handed. It feels a little bit realistic experience and that definitely makes it a worthy experience. 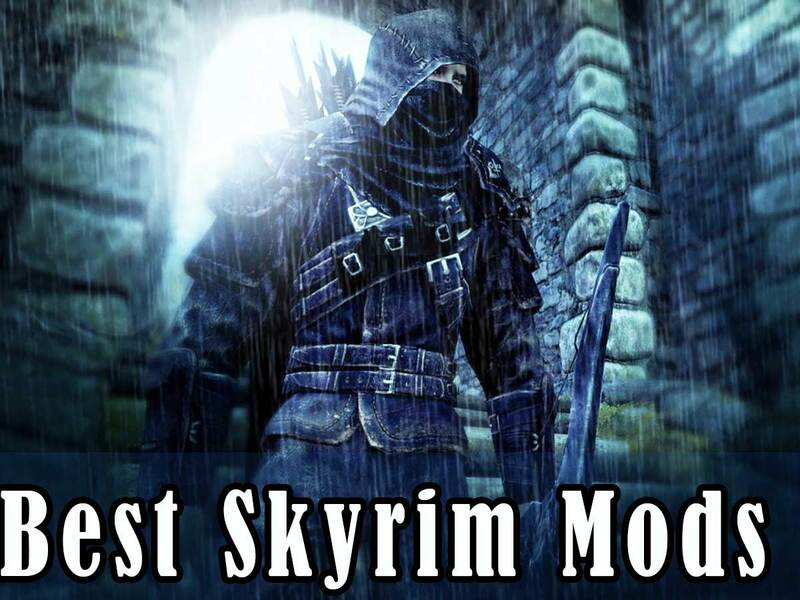 Try it out and maybe, it’ll definitely be a best Skyrim mod for you. Dwemertech Mod is rather a freshly invigorating experience in Skyrim because of its highly technological depictions. Some of the key characters, Dwemer left Tamriel years ago and the scientist kept on trying to bring them back. They have finally arrived back in the Skyrim world with the help of a powerful mage. But to find the mage, you’ll have to complete a quest with a character of skill level 40, destruction, restoration, and alterations skills, etc. This particular mod allows you to relive the Skyrim experience as a Dwemer and enjoy harbo8uring all the 42 new spells and finish the game once more. Dark Brotherhood Resurrection Mod is one of the best mods for Skyrim you’ll ever come across. If you’ve previously liked the Dark Brotherhood quest and its storyline, this mod will definitely interest you. It adds up a new 4-hour long campaign into the game and particularly to the Dark Brotherhood storyline. You’ll be able to accompany the best marksmen and killers from the brotherhood with their own unique stories. The Phendrix Magic World Mod is all about magic. It offers a new game setting based on different structures, landscapes, and motives. You’ll find yourself in the town of Manantis, where you’ll have to go through tons of magic stuff. Learning new spells is now quite easy with this new Skyrim mod. The Phendrix Magic World Mod also offers a new quest in which your task is to explore the magical realm. Skyrim Redone Mod is widely known as the mother of all mods as it completely changes the game and how you play it. It’s a well worth combination of various Skyrim mods and because of that it widely influences the game. Packed with all kinds of nifty new features, weapons, skills, new perks, and stats for every character, Tendo’s Skyrim Redone Mod is a great addition to the Skyrim mods. Dual Combat Realism Mod is a mix up of an unrealistic and unique combat system in Skyrim. It literally changes every other battle in the game and requires your close attention to the game’s details. It packs with your own Armor, Weapons, and Skills. These are the most required and survival elements that this mod offers in the game. In order to bring in the realism, Dual Combat Realism Mod adds you gear up with your armor, weapons and enjoy exploring and hunting the enemies. Reverse Crafting Mod offers one of the much-needed features for Skyrim. It allows you to find a useless item, keep it in your inventory, and later one use its materials to craft something usable. In simple Skyrim, this feature was unavailable and whenever player found something useless, it had to be thrown away. But now you can keep it with you and use it while needed in the form of something really useful, thanks to the Reverse Crafting Mod. As suggested by its name, the Bandolier Extra Inventory Mod, allows you to have an extra inventory for more things to store. Skyrim world is huge, and there are countless items scattered all around it. Now with the Bandolier Extra Inventory Mod, you can enjoy keeping more and more items and weapons in your inventory while on the quests. Skyrim is no doubt a great Action-RPG game, but tons of loading screens make it quite frustrating. Most of the loading screen remains for a long time and that kind of ruins the flow of gameplay. Some loading screens even restrict you to stroll through the cities until the game is fully loaded and the screens are gone. Well, to solve this annoying issues, the Open Cities Mod come in. With this mod installed, you’ll never have to see the loading screens again. This means that you can freely roam the city while the game is being loaded. It’s one of the greatest mods for Skyrim. Castle Volkihar Redux is one of the grandest mods of Skyrim. The mod offers a massive fully built castle with perfectly accurate textures and details. The construction of the castle is fully completed with all the eerie corridors, dungeons, and grounds. In addition, the Castle Volkihar Redux mod offers castle’s own special quest line and takes you to the setting after the events of Downguard. It’s one of the best Skyrim mods you can try. Tundra Defense Mod offers a beautiful Tower-defense style mini game in a totally different environment. Your task in the mod is to build your tower and defend it against the foes. It’s a very well built mod and lets you embrace the responsibility of defending your grounds. It lets you hire guards who eventually help defend your installations, citizens, and assets. Pure Waters lets you change the Skyrims Jelly-like rivers and pools into refreshing cool and clean waters. The environmental element in Skyrim is quite good but the water in rivers and pools doesn’t look good at all. The Pure Waters mod allows you to change all that and enjoy the game even more. Similar to the Pure Waters, the Pure weather helps you change the murky and unclean Skyrim weather into a beautiful environment. Combined with the pure Waters, this particular mod allows you to have clean and cool rains, snow, and fog effects in the game. In addition, this mod makes the mountains look clean and beautiful surrounded by the astonishing clouds. Pure Weather is one of the best Skyrim Mods you should check out in 2018. Skyrim Remaster To Run At 1080p On PS4 And Xbox One? 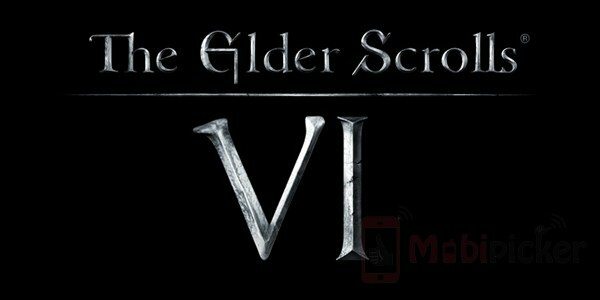 The Elder Scrolls 6: Sequel to Skyrim Or A New Story?